Our training is the starting point for many people on their journey to learn more about the Indigenous Peoples of Canada including our shared background and history, current realities and how we can work together to make a better world. Our training touches on aspects that are broad or similar like all Indigenous Peoples in terms of cultural practices while providing the background and context for inspiring people to want to learn more and engage for the benefit of all Canadians. We share both your short and long-term vision to provide as many of your employees with some level of Indigenous Awareness training. There are many different people working for, and with your organization, who would need varying levels of training. Time constraints due to a priority of commitments would also need to be considered when administering our training programs. Your goal of making Indigenous Awareness training more inclusive for your employees aligns with our goals, which is why our online platform is so attractive to so many businesses. We are extremely flexible and responsive to the needs and requests of our clients. And we are happy to work with you to customize our programs to best fit your companies needs at a cost-effective price. 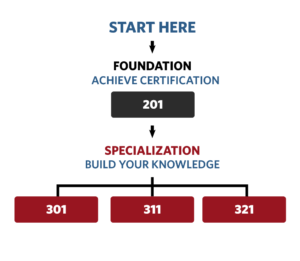 Our 200 and 300 level courses provide a learning path for your employees to follow. Our courses are not a “how to” program. Our courses help stimulate more conversation with Indigenous groups and help you strengthen your current and future relationships. We want to work with you and support your journey. Take the next step by providing the most effective Indigenous awareness training program. Our online courses are interactive, have lots of video content, photographs, charts and graphs, and links to external sources and research. – Remotely hosted Q&A sessions by video or phone conference. – Remotely delivered workshops and webinars. These online skills-based training courses will provide you, or your organization, with the information needed to build effective and positive relationships with indigenous people in Canada. Learn about Canadian Indigenous peoples in an engaging and safe environment. Our online courses are designed for everyone – you do not need a degree. They are broken up into useful sections and you can start and stop as often as you like. Please note that students must complete 201 before taking a 300-level course. The Indigenous Awareness Introduction course is a stand-alone highly abridged version of the widely-recognized Certification course. It takes about 60 – 90 minutes to complete. Certification course. Groups with staff that are part-time, volunteer, or transitional can benefit from the flexibility. Upon completion, each participant can print out their own Certificate in Indigenous Awareness or order a framed print online. The Indigenous Awareness Certification is recognized and recommended by Indigenous groups and leaders. This is fundamental to meeting corporate obligations and training requirements in support of programs like the CCAB (Canadian Council for Aboriginal Business), PAR initiative and the Government of Canada’s directives to all Canadians on adopting the recommendations of the TRC (Truth & Reconciliation Commission). The Indigenous Communication & Consultation course builds from the foundation-level Certification course with special focus on engagement and interaction. It takes about 2-5 hours to complete. Upon completion, each participant can print out their own Certificate of Specialization – Indigenous Communication & Consultation or order a framed print online. understanding and building a strategic framework for better engagement, relationships, and outcomes. The Indigenous Employment Outreach, Recruit and Retain course is designed for community leaders, HR professionals, hiring managers, executives and anyone seeking to build an inclusive environment to support and leverage the benefits of improved employment outcomes with their Indigenous partners and employees. This course will teach you how to effectively outreach, recruit, retain, and develop qualified Indigenous employees.